The U.S. government says it has developed the first ever self-guided bullets that can lock onto a target more than a mile away and maneuver midflight in order to hit its mark. The .50 caliber target tracking bullets, dubbed Extreme Accuracy Tasked Ordnance (EXACTO), are designed for military snipers, who must deal with changes in wind, light and ambient heat as they fire on a target. The EXACTO technology is being developed by Teledyne Scientific and Imaging with funding from the Defense Advanced Research Projects Agency (DARPA), which researches new military technologies and is known as a key developer of the Internet. The EXACTO round and optical sighting technology is expected to greatly extend day and nighttime range over current state-of-the-art sniper systems, DARPA said in a statement on its website. The system combines the maneuverable bullet with a real-time laser-guidance system to track and deliver the projectile to the target. The EXACTO rounds, which are accurate up to 1.2 miles, are guided to laser-marked targets and should help snipers work farther away from intended marks, and therefore avoid detection after firing, DARPA stated. 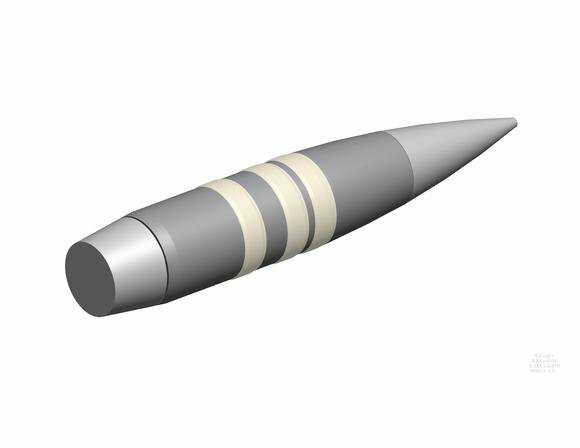 While DARPA claims EXACTO is the first self-guided bullet, Sandia National Laboratories (SNL) announced in 2012 that it had successfully fired a prototype self-guided bullet. SNL’s dart-like, self-guided bullet is four inches long and also uses an optical sensor in its nose to detect a laser guidance system that must remain on target for the bullet to track. The EXACTO technology is now in phase II of development, which includes the design, integration and demonstration of aero-actuation controls, power sources, optical guidance systems, and sensors. The program’s next phase includes a system-level live-fire test and technology refinement to enhance and improve performance. DARPA did not immediately return a request for information about how the bullet maneuvers mid-trajectory. Lucas Mearian covers consumer data storage, consumerization of IT, mobile device management, renewable energy, telematics/car tech and entertainment tech for Computerworld. Follow Lucas on Twitter at Twitter @lucasmearian or subscribe to Lucas’s RSS feed. His email address is lmearian@computerworld.com. Read more about emerging technologies in Computerworld’s Emerging Technologies Topic Center. This story, "U.S. DARPA researchers announce the self-guided bullet" was originally published by Computerworld.